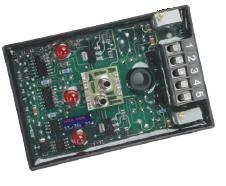 Canfield Connector is a manufacturer of interconnection devices, electronic timers, connectors, sensors, modules and specialty electronic devices targeted at the fluid power industry. Canfield Connectors are made according to DIN, ISO and EN175301 industry standards. All are used as protective enclosures for electrical con­nection in conjunction with hydraulic and pneumatic solenoid valves. Modular connectors offer distinct advantages over “hardwired” solenoid valves when special wire is needed or when using one long wire run. All-molded DIN solenoid valve connector/gasket/cord assembly offers a completely molded design that is far better for environmental integrity than field wire versions. Made from rugged yet flexible polyurethane, the connector housing boasts high durability factors and application versatility. The Canfield Connector Multifunction Timers are designed as a full featured multiple mode of operation, multiple voltage, all-in-one timer. Proportional Driver provides accurate control of hydraulic and pneumatic proportional solenoid valves used in mobile construction equipment and industrial processes. The Canfield Connector EOS differential pressure switch is a compact device used in place of proximity switches to sense the end of stroke and/or clamp­ing pressure of a linear actuator. The Canfield Connector Reed and Electronic sensors are compact units designed for sensing applications on round and tie-rod pneumatic cylinders. 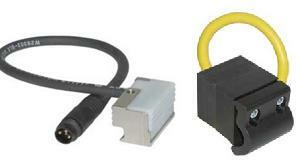 These sensors offer a wide voltage range from 0-120 VAC/VDC 50/60 Hz and high current capacity up to 0.5 Amps. They include high intensity indicator lights and a wide viewing angle. 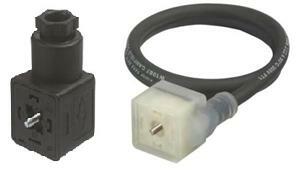 Clayton Controls is a Canfield Connectors distributor in California. We offer technical support to help our customers solve their applications.